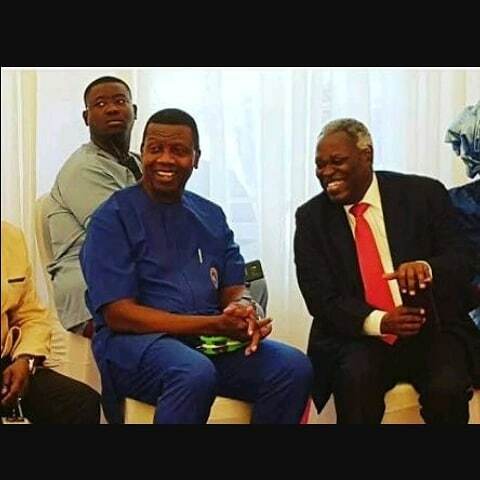 When anyone is mentioning the top pastors in Nigeria, the name W.F Kumuyi never escapes the mouth of many as he has made so much impact in ministry. In this article, we will get to see the life of this man, talking about his biography and every important aspect of his life you need to know, so sit back, relax and enjoy! William Folorunso (The full of the abbreviated W.F) Kumuyi is a Nigerian Pastor and the founder, General Overseer of the Deeper Life church. He was born on the 6th of July, 1941 (77 Years old) into a full blooded Christian family in Osun State, Erin Ijesha. As earlier established, he was born into a Christian family, but he did not become born again till he was 23 years old (in April, 1964). He had his primary and secondary education in Mayflower School Ikenne located in Ogun State where he finished and was employed as their Mathematics teacher just a year after (1962). He then proceeded to further his studies at one of the best universities in Nigeria, University of Ibadan where he studied Mathematics and graduated with a First Class Honours in the year 1967. "Those who deserved to know were duly informed. If he wanted a high profile wedding, he could have done that, but he truly voted for a low key ceremony and we are happy about that"
He is currently blessed with two children, John and Jeremiah (The two are from his first wife) who are based in US. It was established that it was his sons that pressured him to take in a new wife as at then. The Deeper Life Church was established in the 1980's and was at first a small group, within a short period of time (1988), the church was already recording 50,000 members, but that was not a benchmark for him, he kept on pushing and today at the Deeper Life Church headquarters, there are about 120,000 members in attendance every Sunday service. Excluding the numerous branches the church has. According to AFNET, Deeper Life Church has 500 branches in Lagos alone, 5000 branches in other parts of Nigeria, making it a total of about 800,000 members in Nigeria. "The history of Deeper Life is very much the personal story of W.F. Kumuyi. He is a gifted man, clear-thinking and humble. He is a dedicated Christian and deserves the title “the man of God,” which his followers have given him. Since he was a young man, Kumuyi has devoted his time to reading and studying the Bible. He knows the Scriptures inside out, and has struggled to understand and apply them. As he shares that struggle and his love for the word of God, so people have been drawn to him for advice, or simply to listen. When he preaches, his message is clear, simple, and profound. Poor street traders who can barely read sit next to university professors, all equally captivated by the way Scripture becomes suddenly relevant to them.Pastor Kumuyi’s own Christian life developed because he took the Bible so seriously, and so the Deeper Christian Life Ministry has developed in the same way". In Alan Isaacson’s own words, he “preached Deeper Life into existence.” His sermons were captivating, he wrote further that, “I would classify him as one of the greatest living preachers, giving a straightforward Bible-based message,his sermons thorough, and always personally challenging. He always gave a wide range of cross-references which were read in their context, supporting, clarifying and expanding his main points. He spoke clearly and authoritatively to the Nigerian situation. He dealt sensitively with African culture, but also made a firm stand in highlighting the points where local culture was incompatible with the will of God. While stressing the high moral tone which is one of the virtues of most African cultures at their best, he was at pains to specify those aspects of local culture which were unchristian and even evil. In this way he was not only concerned with some kind of personal holiness, but also genuinely seeking the wholeness and harmony of the community at large, where truth, honesty, and justice should be the predominant characteristics.